Help bring color and cheer to your workplace with Stained Glass Inc. If you are looking to liven up your office building, stained glass is the way to go. Stained glass offers a sense of peace and positivity and serves a number of practical purposes. Stained Glass Inc.'s designs can be used in a variety of ways to bring color and warmth into the workplace. Instead of dividing your workspace with boring, plain partitions, consider using Stained Glass Inc.'s customized room dividers to add a splash of color and texture. Stained glass partitions will offer your employees privacy while simultaneously enhancing the aesthetic appeal of the office. If your office could benefit from the use of natural sunlight but you don't want to deal with bright and unwanted glares, then stained glass window inserts could be just what you need. These custom inserts can easily be installed over any window and will gently filter the sunlight producing a soft, natural glow that is pleasant and not overpowering. Aside from its overall beauty, stained glass can boost mood and provide a more positive atmosphere for your workplace. This is ideal for stressed out employees. Offices can have dividers, windows, or any other stained glass design they desire, customized to reflect their company's name or logo. 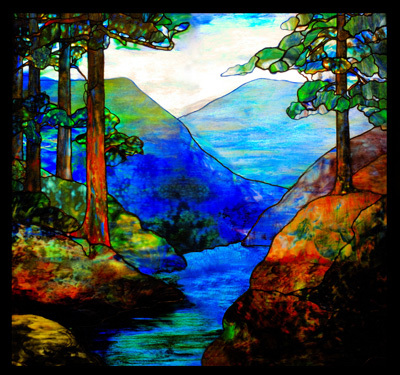 Stained Glass Inc. offers speedy assistance, and one-of-a-kind service. Call today.